How do you increase social media engagement? Heard it said that engagement is the currency of social media. How do you keep your fans/followers engaged? Before going further let us make sure that we are on the same page when we talk about engagement. Engagement doesn’t mean “X” amount of time you spend on Facebook, Google+, Twitter or other’s platforms. It’s not that. Social engagement refers to one’s degree of participation in a community or society. Engagement in social media is an action that is performed by your followers/fans when they come across your post, or tweet. Engagement may include any or a combination of the following. (Please note that these are just some of the many types of social media engagement). Someone recently asked me how a business should make their fans engaged. I replied with a couple of questions and one of them is this: “What are they posting?” I didn’t bother looking at the page because I had a hunch that I already knew the answer. It’s mehhhh. There are many factors that could influence engagement. 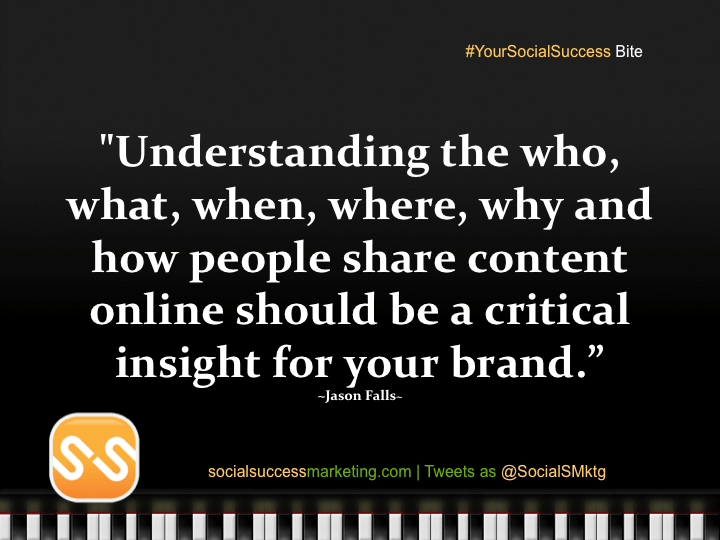 One of them would be the types of content you share and how you share it based on information you have gathered about your audience or fans. Your posts should be, in a way, a reflection of what you know, or find out, about your audience. That requires some research; and that is a moving target and should be evaluated and adjusted every now and then. 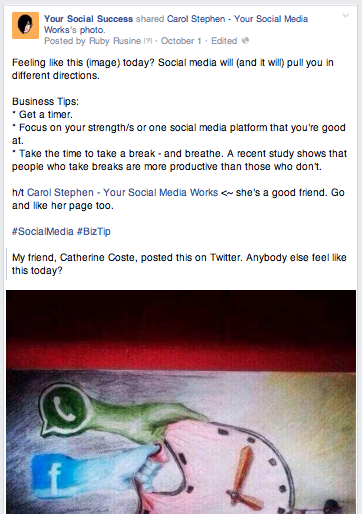 The examples below are what I’ve learned and observed over the past 5 years of doing social media for business. I would recommend that you experiment on either of these. Repeat what works; discard what does not. Ask a question with either yes or no answer or multiple choice answer. You have smart social consumers but time is not what they have. Don’t make engagement hard for them. Ask very easy questions. Remember your audience has very limited time. Type of posts that would need only one word as an answer. Some won’t answer in just one word, right? It doesn’t matter! There’s engagement. “Caption this” type of posts. You will come across this type of post often because it works. By the way, make sure that the image is yours; if not, that you have permission to use it. Ease up on “buy-me” posts. Practice the 80-20 rule. Meaning that 80% of your posts should be about your followers; 20% about you. There are many “rules” that others have created. It really does not matter which one you follow. The crux of the matter is to simply not talk about your product or business too often. In real life, no one wants to be friends with someone who talks on nothing and no one but his/herself. Have you met this type of person in your life? I bet you have. People like to help. Ask for help when you genuinely need help. I have done this a couple of times. In fact, one of the infographics I am working on for next post is a result of that. I got help and I my fans participated. Inspire your fans/followers. Share motivational quotes. Who doesn’t love motivational quotes? People love to be inspired, to be encouraged and to be empowered. Sometimes, that positive quote may be the only encouragement that a small business owner (or anyone) reads in a day. Need nice templates to use for your quotes? Feel fee to use my non-branded social media post templates that you can use for Twitter, Pinterest, Facebook and other platforms. People often visit social media platforms to entertain. Mix in humorous posts in yours. Humanize your social media experience. Be authentic. People like talking to people. Humanize your brand. Step out of your logo or avatar sometimes. Share something personal about your team. Share others Facebook Page’s post. Linking out doesn’t only increase engagement it also builds community, and relationship. Here is an example of this type of post on Facebook. Allow people to post/comment in your social media platform. 12.3) Right hand sir of Posting Visibility, click “Edit” or the pencil icon. Then select your options. Include high quality photo in your posts. People (including me) will perhaps not “get” what your content or product is about especially if it is too techie. A nice and high quality image may just be one reason for them to stop scrolling, and engage. Respond to your followers or fans. It is one thing to get participation but it is another thing to respond to show your followers that you are present, and are listening. Also when you respond, they tend to engage back. Fill in the blank posts. It is just another alternative to asking questions. That too, invites participation. Do you love freebies? I do too! Give your fans/followers an incentive for engaging. The are just a few of the many ways to encourage and invite engagement. If you notice, the above examples are all geared toward your audience, not you. Such is the nature of “social” media. Also, while it is your aim to get and build an engaging community in social media, make sure that you are on-topic, or in context, as often as possible. If your business is about manufacturing then use the above examples to spin manufacturing posts to encourage participation. What techniques do you do encourage social media engagement? Your turn!